Choose My Plate is a USDA website designed to promote healthy eating. Throughout the site you can find tips on creating and maintaining a healthy lifestyle. You will also find plenty of recipes to try at home. One great collection of recipes is found in the form of a PDF called Kids' "State Dinner" Cookbook (link opens a PDF). 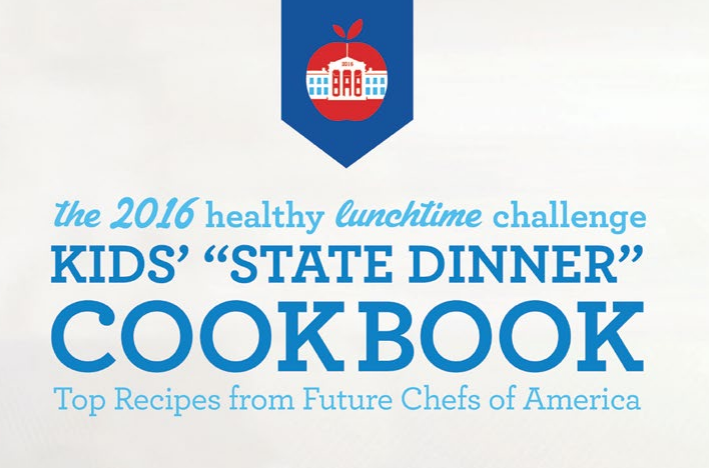 Kids' "State Dinner" Cookbook features 50 recipes submitted by students in all 50 states. In the cookbook you will find recipes like Wrapped Alaska Denali Style and Spinach Smoothie, Fit to Run Boston Marathon Cod-Potato Cake, and Super Stuffed Squash. All recipes are healthy and can introduce families to new foods. On a related note, Kids.gov offers a selection of videos about healthy eating. Some of those videos feature easy-to-make, healthy snacks. See an example below. The Kids' "State Dinner" Cookbook and Kids.gov video recipes could be good resources for health education teachers to add to their list of resources that introduce students to ideas for healthy eating. Home economics teachers looking for recipes to use with their students might also find the cookbook useful.